iMovie for iPhone may be the next big step in mobile filmmaking, but you’re going to need Apple’s newest iPhone to use it. As reported by Jeff Carlson over at TidBits, and confirmed by Macworld, the $5 mobile version of iMovie will only run on the iPhone 4, and will launch alongside the iPhone 4 on June 24. In talking to “sources within Apple,” Carlson notes that “handling video and creating real-time transitions needs the power of the iPhone 4’s A4 processor,” which earlier models don’t have. 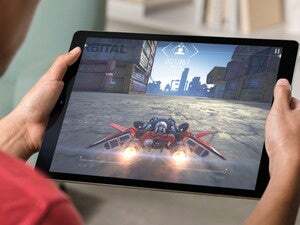 The iPad uses the same A4 processor, but Carlson says the app won’t run on the Apple tablet (at least for now). He also says that iMovie projects cannot “currently” be transferred for further editing on a desktop computer—which makes it sound likely this limitation is only temporary. During the WWDC keynote, however, Apple did show how users can export finished videos to iTunes or to the Web.